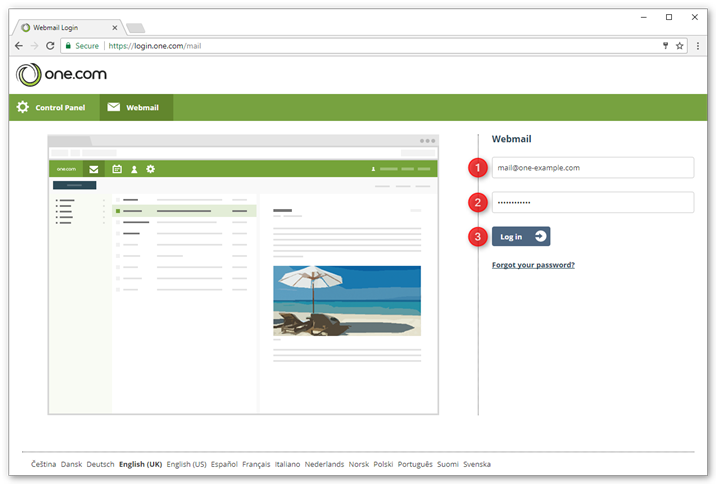 With Webmail you can send and receive email anywhere, as long as you have access to the internet and a browser. Before you can log in, you first need to create an email account. Tip: Don't you have a personal email account? Get one today on your own domain. Open www.one.com in your browser. Click on Webmail, in the top right corner. 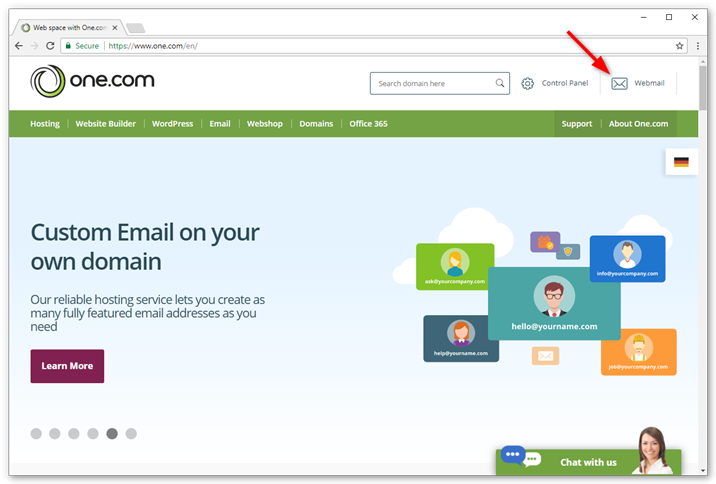 Tip: You can also go directly to the login page by typing mail.one.com in your browser. Enter the password that belongs with your email address. Note: If you don't remember your email password, read our guide: How do I change my mail password?. You are now logged in. 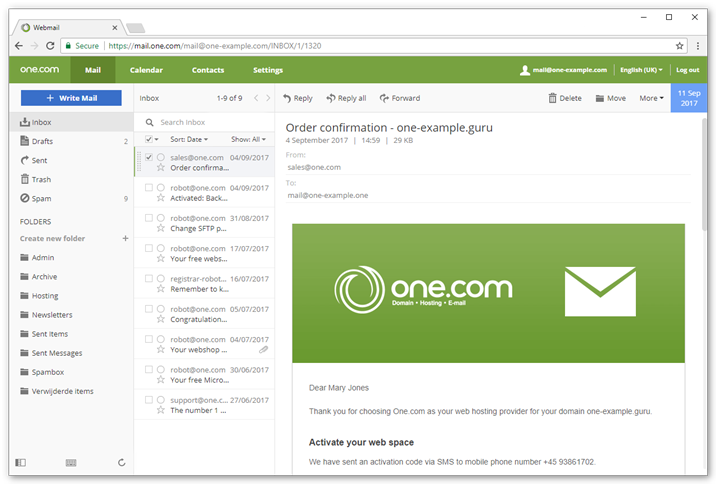 In Webmail you can read and send emails, manage your calendar and collect contacts.